Present-day Tobago culture is one of the richest and most diverse in the world, influenced by the island’s African heritage and colonial past. It is this culture that the island showcases through its annual Tobago Heritage Festival. 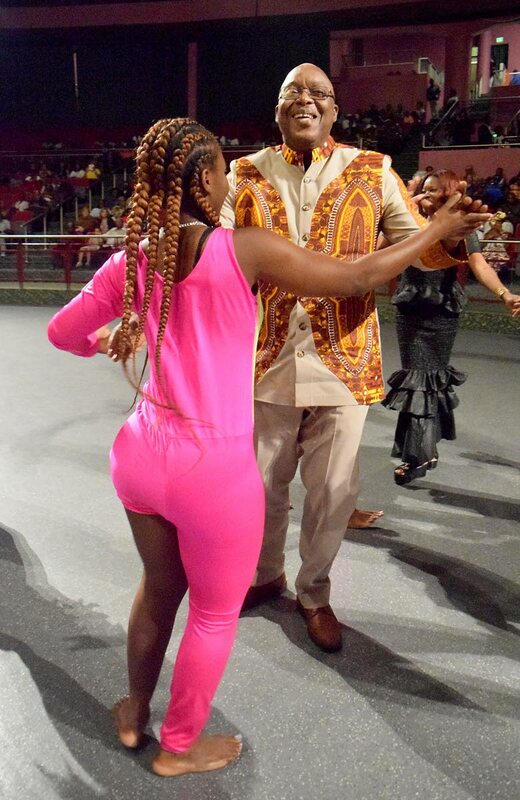 So declared Chief Secretary Kelvin Charles as he spoke at the opening of the 2018 Tobago Heritage Festival on Friday night at the Shaw Park Cultural Complex. Charles said while some persons may question the purpose of hosting the Festival every year and may even suggest that 30 years of re-enacting heritage events was repetitive, the Tobago House of Assembly (THA) was determined to engender a society rooted and grounded in a strong sense of identity and self. Quoting the words of Marcus Garvey - “a people without the knowledge of their past history, origin and culture is like a tree without roots - he said the Heritage Festival was one of the ways in which Tobago sought to foster identity and self, and that over the years, the Festival has evolved into a platform for education and enlightenment. Charles said as the Festival progresses, more emphasis has been placed on bridging the gap between mature and younger generations to ensure continuity and sustainability. “As you attend the various activities on the calendar, you would observe the visible improvement and involvement of children and young people in the productions. This is indicative of our deliberate attempts as a people to preserve our cultural legacy, which I dare say is one of the richest and most diverse in the world,” he said. Charles said Tobago was attempting to showcase and express what has come to be defined as the Tobago culture “unique and differentiated from the many cultures of the Caribbean region, even our very own sister isle, Trinidad. Reply to "Charles: Tobago rich heritage fosters strong identity"